A total of 1,790 years of service by 143 employees was recognized by Samford University at the annual employee awards luncheon Jan. 22. Myralyn Allgood, who recently retired from the department of world languages and cultures, was honored for 50 years of service. 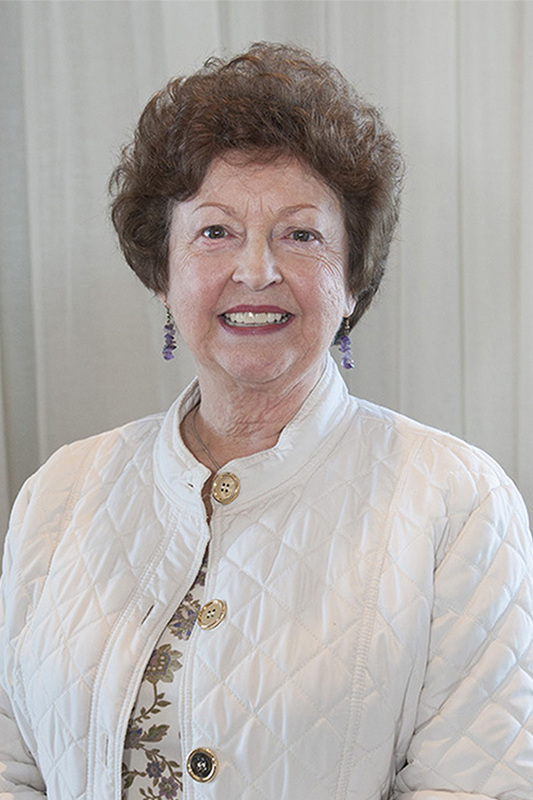 Allgood, who also is a Samford graduate, began her teaching career in 1963. "What could be done if one devoted her entire career to one institution? We have seen that in Myralyn Allgood," said Howard College of Arts and Sciences Dean David Chapman. "She was a model teacher who demanded the best of her students. Her commitment to her students never wavered over 50 years." Charlotte Freeman, education, was honored for 40 years as a faculty member. "We often have former students who come back and want to talk to Dr. Freeman. They say she was the best teacher they had at Samford and changed their lives," said Jeanie Box, dean of Orlean Bullard Beeson School of Education. Recognized for 35 years were Henry Glotfelty, physics; and Becky Hutto and Tom Stone, law. Receiving 30 year service awards were Alice Bullington, Robert Goodwin, Edward Martin and Lynda Reynolds, law; and Mattilyn Harless, mathematics and computer science. Twenty-five year awards were presented to Karen Birk, university bookstore, Ed Craig, Michael DeBow, Bill Ross, Joe Snow and Henry Strickland, law; Donna Fitch, marketing and communication; Timothy George, divinity; Betty Hopson, chemistry; David Little, education; and Dennis Sansom, philosophy. Honored for 20 years were Robert Cameron, chemistry; Cheryl Cecil, Regina Coleman and Tabitha Moore, library; Stephen Chew, psychology; Hugh Floyd, sociology; Ralph Gold, kinesiology; Michael Janas, communication studies; George Keller, biology; Michael Kendrach, pharmacy; Phil Kimrey, student affairs; Frank Martin, technology services; Chris Metress, academic affairs; Carrie Anna Pearce, Robert Service and Tom Woolley, business; Maurice Persall, education; Fred Shepherd, political science; David Shipley, international studies; and Tommy Tarvin, physics. Receiving 15 year awards were Judi Aucoin, university advancement; Jonathan Bass, history; John Bowers, technology services; Richard Dendy, art; David Finn, education; David Garza, chemistry; Clara Gerhardt, human development and family life; Greg Kawell and Candy Todd, mathematics and computer science; Frank Mobley, post office; Pam Nelson, law; Thomas Rohling, athletics; and Randy Todd, classics. Ten year service awards were presented to Beth Ashmore, Gail Barton and Jaro Szurek, library; Laura Beason, accounting and financial services; Terri Cahoon, Cindy Ritter and Rosalyn Sewell, nursing; Barbara Cartledge and Dennis Price, business; Gary Chaffin, transportation services; Shelley Chapman, admission; Susan Crosthwait, marketing and communication; Brannon Denning, Ken England, Cherie Feenker and Kathy Walton, law; Marci Edwards, Public Affairs Research Council of Alabama. Also, Cathy Franklin-Scott, Jeremy Haynes and Joe Zellner, technology services; Maisha Freeman, Diana Vakakes and Bruce Waldrop, pharmacy; Michelle Joiner, student records; Suzy Metts, arts; Michael Morgan, president's office; Joey Mullins, athletics; Brian Pitts, university ministries; Philip Poole, marketing and communication; Ken Roxburgh, religion; Anne Sherman, disability services; Roe Smith, post office; and Lauren Taylor, residence life. There were 51 employees recognized for five years' service, including Emily Allee and Kim Herndon, library; John Arnold, Erika Cretton-Scott, Dee Dugan, Jeff Kyle, Ami Shell, Steve Stricker, Terri Wensel and Peggy West, pharmacy; Kristin Bakkegard and Dave Johnson, biology; Dale Baldwin, academic affairs; Lowell Broom and Lisa Mosley, business; Leslie Carlisle, kinesiology and nutrition science; Randy Pittman, university advancement. Also, Sonya Davis, core curriculum; Keith Deakle, Danielle Ivey and Ann Wolf, bursar's office; Mark Devine and Osvaldo Padilla, divinity; Kelly Driggers, Stacy Hall and Shawn Petruzella, printing; Della Fancher and Jodi Newton, education; Charmayne Fillmore, Greg Laughlin, Derrek Smith and Laurie Zimmer, law. Also, Mike Grace, Andrea Lemmond, Bradley Purvis, Rocky Sabbatini, Derek Schroeder and Rod Tiffin, athletics; Erin Killingsworth, John Lundeen and Jill Pence, nursing; Leslie Mann, health sciences; Andy Milstead, world languages and cultures; Elizabeth Primm, admission; LeeAnn Reynolds, history; Paul Seeley, public safety; Kenny Smith, journalism and mass communication; Jennifer Speights-Binet, geography; Monica Sun, purchasing; and Laura Tomlin, Evening College.